Time Warner News- He’s more than just a reality TV celebrity. “People expect me to do something,” said Duane “Dog” Chapman. 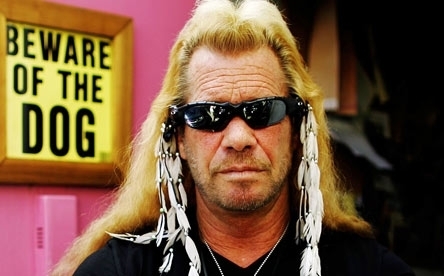 “Do you know what I mean?” Chapman, better known as Dog The Bounty Hunter, and his crew are following the manhunt for the two escaped prisoners from Clinton Correctional Facility. “The reward out there is good,” he said. “Somebody’s going to make some money to provide some information.” Chapman said his website has been receiving two tips an hour about the whereabouts of escapees Richard Matt and David Sweat. Their investigation stepped up last week after U.S. Marshals placed the convicts on the 15 Most Wanted List. “Once they put them on the top 15, then we’re after them but you’ve got to be very careful. You can’t go up there and jump in the cops’ crime scene or go through the cabin and look for stuff. You’ve got to be very, very careful not to step on anybody’s toes,” Chapman said.